During winter season for some family's winter activities are a wonderful way to stay active during those cold snowy days. One of those popular activities that even a child can learn is snowboarding. While this sport does require that the athlete have some abilities of balance and coordination so that they can enjoy this sport a little more, they do have specific boards designed just for children. We came up with a list of highly rated, stylish, snowboards perfect for your youngster who is ready to hit the mountains with you. This is our top ten list of the best snowboards for children of 2019. For this update we added two new products to our list. We made sure that every product on our top ten list was still available and matched our methods of criteria when choosing the highest rating in the market that 2019 has to offer. For any other questions regarding snowboarding or board size for your children be sure to check out our FAQ. We hope that whatever you and your family are looking for you will find the perfect board for your children to enjoy your winter adventures. Ideal for beginners to the sport and entry-level novices, the Supra Hero Snowboard from Emsco Group is perfect for kids aged five to fifteen-years-old. This well-known company is a trusted name brand with over 150 years of production experience. This is just one of the many items they create for games and toys for children. 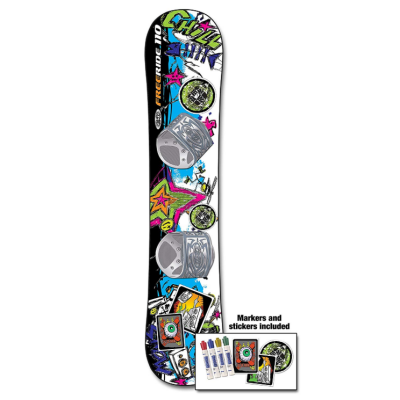 Being able to design and draw your own graphics on the snowboard is part of the fun of this exciting item. Kids can use markers, permanent inks, decals, or stickers to make their board so unique.The Supra Hero has core construction that is solid of polypropylene and features excellent workmanship. It includes the bindings for proper foot placement, which lock into place after the adjustments are made for a secure fit. These bindings are step-in placements that do adjust easily as your child needs them altered for growth. Even though this is novice board for learning the terrific sport of snowboarding, it is possible to do simple tricks and maneuvers on it once the coordination and balancing have been grasped.The durable construction provides a lifetime of fun riding on slopes and hills of snow and grass. It can be used to try out novice tricks and easy moves, plus it does not create undue stress in using it because it is user-friendly. This is the lowest in cost of all items on this list. It is valued for its user-friendliness, durable construction, design abilities, and included bindings for foot placement. 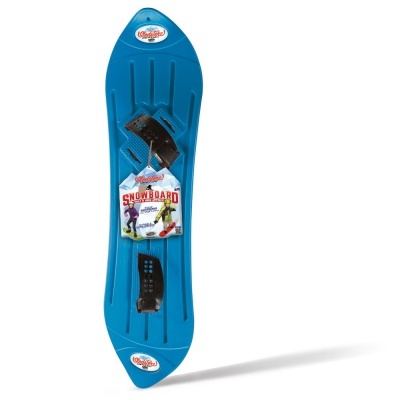 Available in four bright bold colors and having a rugged design, the Lucky Bums Kids Plastic Snowboard is great for kids nine-years-old and older. It includes the foot bindings for the feet that are pre-mounted and does not have edges of metal for the safest ride and practice. 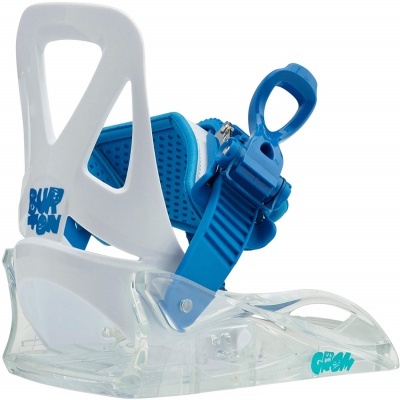 The bindings are even suitable for larger footwear such as snow boots, so the feet can be protected well. 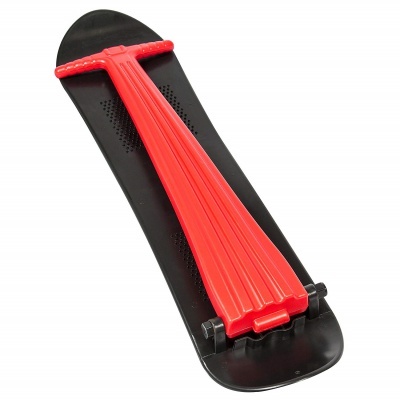 This splendid plastic snowboard has a secure fit with the latch system and is perfect for introducing kids to the sport of snowboarding.As most snowboards have metal parts or edges, they are not completely safe for beginners. This safe and secure board has plastic edges to prevent children from being unduly hurt. Many manufacturers of snowboards do not offer their products in a variety of color or design choices. This terrific board from Lucky Bums comes in four exciting colors sure to please any boy or girl. Costing less than the average price, this great snowboard has the wonderful qualities of vibrant catchy colors, a safe plastic design, and accommodating foot bindings. This board is perfect for children who need help gaining control of their board. This snowboard is specifically designed with bars that will help your child choose and control whatever direction they're trying to ride in. It also comes with an anti-slip rest which ensures that your child’s feet will have perfect balance when hitting those slopes. This anti-slip snowboard is made of long-lasting plastic material. This snowboard will help your child’s balance and coordination skills. 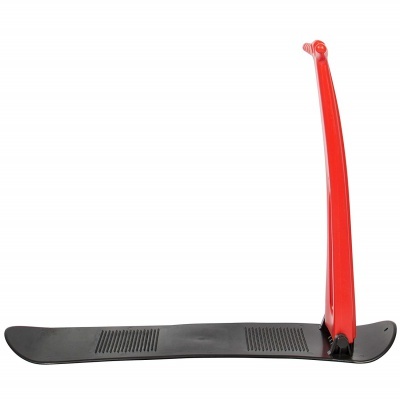 Parents will feel a little bit at ease with this snowboard as the foot rests will help keep rides a little safer during those slippery slopes. We love this product because it is perfect for anyone who needs a little more help with balance. While snowboarding does require balance this board has features to help children gain a little bit more control over their balance and their board. We also love that this has an anti-slip feature to make your child’s riding along the mountain a bit safer. It’s the perfect gift for any occasion and for any athlete. Coming in at the lower end of the market, this snowboard is perfect for toddlers. The handle provides extra stability and allows even the youngest members of the family to join in on the winter fun! 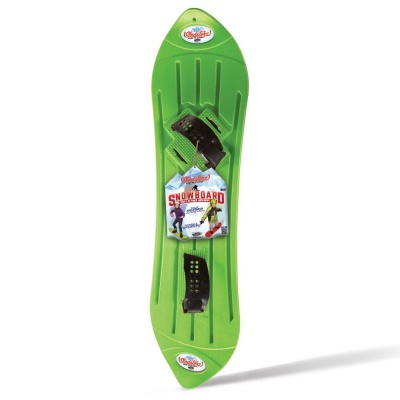 The original Sledsterz Snowboard is constructed of extra-strong polymer material and is offered in the bright vibrant colors of blue, green, and red. It provides a high-quality board for a smaller price than most top models and is great for children aged six-years-old and up. This is a top-quality snowboard with a dynamic shape for fast excitement. Its rounded edges ensure that it provides a safe ride where children will not be tripped up on snags or items in the snow. Great for beginners, this snowboard is terrific for honing in on new skills for a variety of ages. The Sledsterz is the second item that is the lowest in price on our list. 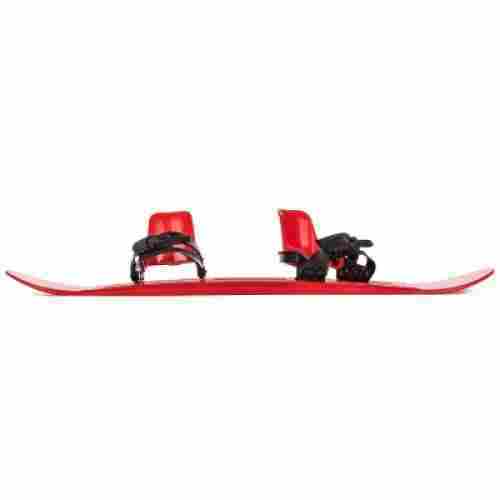 It is a very strong snowboard in a choice of colors with an ideal shape for exciting enjoyment. The Geospace Snowboard lets kids enjoy snowboarding without the huge costs of equipment. It comes with sturdy long-lasting bindings in the board and will last for many years of enjoyment. It has pointed edges for fast turns and swerves on hills and is made of strong polymer material. Several colors are offered for this board, so kids can choose the one they like best. Both girls and boys will love to choose their preferred color of red, green, or blue that is available. As beginners learn their new skill, this board can be used to navigate difficult twists and turns. It can also be used on snow and even grass, so practicing is easy in any climate. One of the least expensive models of snowboard currently offered, this terrific board has the great qualities of several color choices, a beneficial shape for twists and turns, and durable bindings. It can be quite costly buying sports equipment for kids that may lose interest in something quickly. Without spending a bundle, you can get them this board for all the fun of a more expensive board. This new model of a children's snowboard is perfect for anyone who wants something a little more stylish. Thie board is specifically designed and meant for children regardless of if they are an expert at snowboarding or just starting out. As long as your child has the perfect gear, they will learn the board in no time and begin their new favorite activity. This snowboard is made of high-quality materials, so it will last your child through their beginner stage and as they progress in their skill set. We love this product because it is perfect for beginners. Whether your little one is learning how to snowboard or already knows how but isn’t quite an expert yet this snowboard will guide them into the right direction. They’ll be a pro in no time. Top quality gear with a mid-range price, this snowboard definitely won't fall into the 'budget' category but such as the sacrifice for great art. Not only does this board provide ease of use for true beginners but it also opens doors as a conversation starter with its unique style. 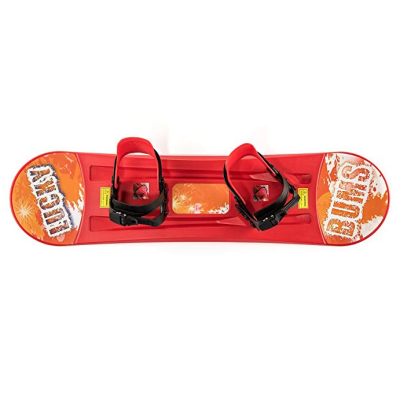 For the beginner snowboarder, we highlight the Burton Riglet Snowboard for Kids. The weight range for riding is twenty-five to fifty pounds, and it works well on snow, grass, and carpet indoors or outdoors. It is symmetrical from the tail to the tip of the board and gives a balanced ride that can be a switch or regular because of the twin shape and flex. 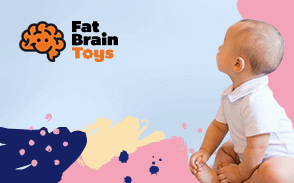 The Riglet has a flat top for increased balance, edge control, and stability and is a real training board for little ones without the bindings. It includes an early rise just outside the feet as the tail and tip includes a kick and has a top that is grippy for the feet to have good traction. There are inserts in the board to add the bindings in later as the child advances in skills. Kids can practice their balancing and coordination in the house on the carpet with this amazing all-purpose board. The child can jump on and off of this fabulous board as they want because it does not have bindings for the feet. They can be added to the board later as the child’s experience grows. You don’t even need snow to enjoy this wonderful board. It can be used indoors or outdoors and on snow, carpet, or grass to learn the skills of balance and coordination. This terrific board has an average price among the featured product listed. It is valued for its training ability in learning the skills for snowboarding and the symmetrical shape. The Northern Ridge “Snow Much Fun” Kids Snowboard is just meant for backyard use and not steep mountainous regions. The cinch bindings are strong, adjustable, and durable. The construction has no edges of metal, as it is made of durable plastic. The strong bindings are pre-mounted on this board to save you the trouble from putting them on. They are long-lasting and sturdy to withstand much punishment from users and the environment. It has a snowboard shape that is traditional, and the pre-mounted bindings can easily be reversed for different riders. Ideal for ages nine-years-old and older, it has cute graphics on the top of a snowboarding bear. Kids and parents will not have to worry about severe injuries with this board. 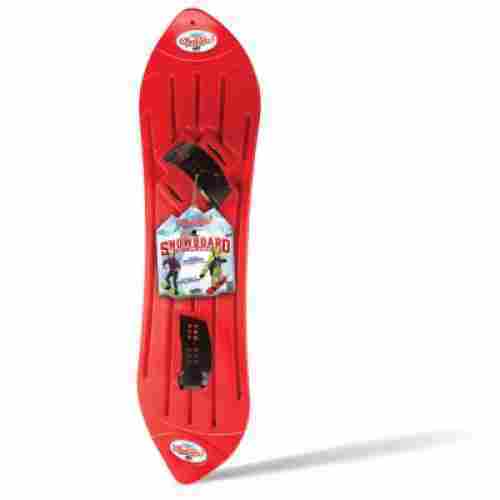 It is made of plastic with rounded edges for a safe board to help them enjoy the snowy hills nearby. If your child is interested in snowboarding and has not learned the talents of coordination and balance yet, then this would be the perfect activity to encourage for fun outdoors. 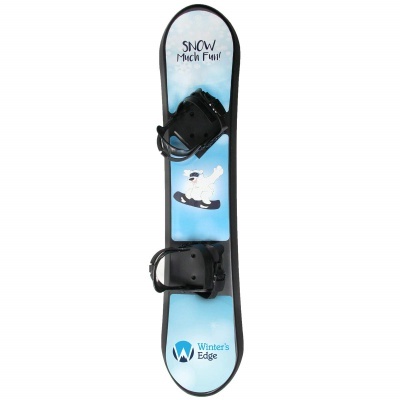 At about half the average price, this Snow Much Fun board is the perfect size for beginners to the sport with its durable construction and pre-mounted bindings for the feet. The Burton After School Special Snowboard with Bindings for kids is made of biax fiberglass and includes an easy bevel and a flat top. Its shape and flex are twin and includes an FSC fly that is certified. This incredible snowboard is designed with bright colorful graphics on the top and bottom and is easier to ride than a tricycle that has training wheels. The bindings are parent-friendly and soft, and the board is saucer-like. Control and balance are taught to the child just learning how to snowboard with this model. Once the balance and coordination are maintained, then kids are ready to tackle the more advanced movements. The After School Special teaches board control and balance and includes everything needed to just go and have fun in the snow. It contains pre-mounted bindings in a stance that is beginner-friendly and has a playful and soft personality and a groomers terrain. If your child is just learning the balancing and coordination of remaining on a moving board, then give this Burton model a try for a terrific beginning. Being the most expensive product we highlight, this Burton snowboard is one of the best for beginners. It has the bindings already attached, and this is one reason the cost is higher than the rest. For all-terrain environments, there is the Burton Chopper Snowboard with the twin flex. 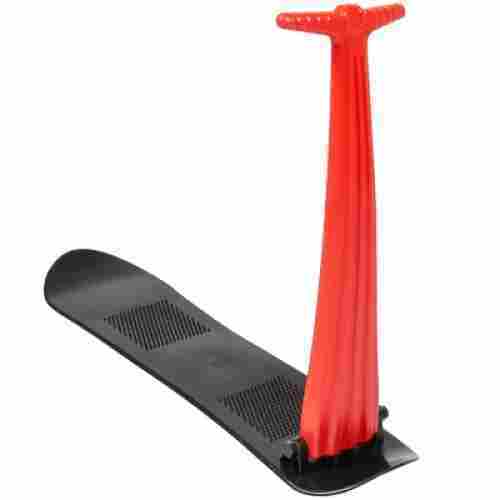 It has a flat top for edge control, better balance, and stability, plus includes a kick up on the tail and front tip. The shape is twin for a balanced symmetrical ride which can be ridden switch, regular, stomp, spin, and butter. The Chopper gives better freestyle mobility, balance, and stability like a cat however you point the board. It has colorful bold graphics on the top and bottom of the board and is beginner-friendly with the soft flex and upturned edges. This fantastic snowboard is perfect for lightweight and young kids to master stopping and turning and is made of high-quality biax fiberglass. The movement of the board must be understood as also how to stay on a moving object well. It features an easy bevel, extruded base, and a twin shape. Whether your child is a beginner or has some experience with riding a snowboard, this is a wonderful product that is from a leading manufacturer of snowboards. For the very smallest of kids wanting to learn how to ride a snowboard, the Riglet product can be connected to the front of the board. This will allow them to be pulled while they are on the board to get the feel of it moving. This is second-highest most expensive board that we feature on this page. The Burton name brand is one of the best in snowboards, so it is expected that these are costlier than other brands. This board is great for regular and beginner riders. The materials that make up these great snowboards have plenty to do with how simple they are to use, how sturdy they will be when used, and how often the kid will want to play with them. Their longevity of use is also controlled by the material used. Strong fiberglass is what the majority of these boards are comprised of. They should outlast the child, as they move from the simpler boards to the more sophisticated models of equipment. As beginner snowboarders, children need proper equipment for the sport that will not inhibit their clumsy attempts at starting. Any physical sport requires balance and coordination to do well, and snowboarding is one that depends on this greatly. These are basically just the start of learning this wonderful sport, so the child can learn balance and coordination on a moving object. This takes much practice just as riding a bike does. However, part of the learning is having loads of fun in trying and mastering the skills necessary to do well. 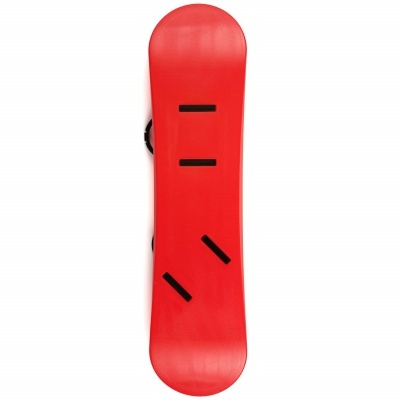 These snowboards have a wide range of prices, with Burton models being the highest in price. While the boards are expensive, they are made out of durable materials. These snowboards are much smaller than ones for adults and they are made of durable fiberglass. The tips are rounded to inhibit injuries from sharp edges. Any physical sport requires balance and coordination to do well, and snowboarding is one that depends on this greatly. Being able to stand securely on the board as it moved downward takes much practice and determination to get good at it. The snowboards featured are smaller boards that are lightweight and constructed of materials that kids can easily manipulate. As beginners to this sport, the equipment used should not discourage them from practicing and must be enjoyable and fun. Each of these outstanding snowboards will perfectly fit a child’s smaller feet and width of step. These are the most-bought and best-rated snowboards in this category according to satisfied customers. The majority of them rated these boards as the best that they would buy again. The Stauber board has the highest rating from consumers with almost a perfect rating, and the Supra Hero Snowboard has the most reviews online. We list these and the other items in this buying guide along with all of the relevant product information and customer feedback, so you can see it all in one place. This will aid you in your buying decisions in picking the perfect snowboard for your child. We rate each product in its own Cost and Vale section as being either average, below average, or above average in price, so you can tell where it stands in the range of all boards considered here. We also tell you what makes the product worth the cost in the value of the item from the manufacturer’s product descriptions and customer feedback. q: How old does a child have to be to begin the sport of snowboarding? Kids as young as three-years-old can use these boards because it is then that they want to try outdoor sports the most. They will see their friends and family members go snowboarding and want to go too. Children are very inquisitive at this age, so if snowboarding is in their future for possible sports they can enjoy and try, then three-years-old is a great age to begin. q: When snowboarding or picking out a snowboard, does it matter if the kid is left or right-handed or left or right-footed? No, preference of hand or foot does not matter in snowboarding as far as which board to purchase. They will all accommodate a child that is either left or right-handed. When they use the board is when it matters. Just like a skateboard that is used on concrete or pavement, the stronger foot will go on the back of the board and the weaker foot goes on the front. The back foot does the steering and the pushing, as with a skateboard too. Let your child place the board as they feel the most comfortable because even if the child prefers one hand over the other, this may not be the same for the feet. They should choose whichever way is more comfortable. q: Are these snowboards for boys and girls both or do girls have boards just for them? Even though some of the product descriptions say boys, there is no reason why a girl cannot ride these boards. There are no special snowboards for girls, just like there are no specific skateboards for girls either. Girls may prefer a lighter board or one that has more delicate graphics or colors, but otherwise, the snowboards listed are suitable for both genders equally well. q: How long does it take for kids to learn how to snowboard? This really depends on the age and capabilities of each individual child. Some may take longer to learn while others will adapt to it readily. Once they learn the skills necessary to stand on the board well while it is moving, then they will gain the stability to enjoy it going down a hill or steep embankment. How often the child practices will also determine how long it takes for them to master this sport. Kids who keep trying every day will definitely learn much quicker than children who just try it every now and then. As with anything else, practice makes perfect. Snowboarding is no exception to this tried-and-true rule. q: Can these boards be also used on hills of grass rather than snow? Yes, they can be used on such grassy places just like snow-covered hills. The grass may be rougher on the board, and when falling off or tumbling down the hill, it will be harder on the child. there will not be any soft snow to break their fall or aid the board in gliding swiftly. q: Do you have to buy anything else with the snowboards to use them? No, nothing else needs to be purchased with these boards as they come with bindings for the feet to go in. the child will just need a pair of sturdy safe shoes or boots to protect their feet. You should anticipate plenty of falling and possible tumbling in the snow and down hills before the child masters the art of snowboarding. Proper shoes will go a long way in protecting the feet and ankles, if they are high-tops, from injuries.